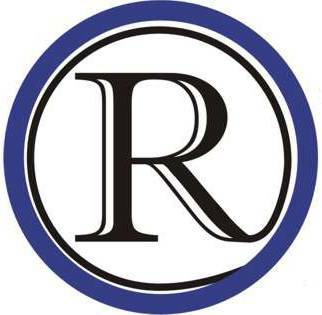 Raytown, MO – Raytown Police Chief Jim Lynch took an opportunity today (01-06-15) to correct inaccurate information regarding the Raytown Police Pension, which was published in the December 17, 2014 issue of the Raytown Times. The inaccurate information was listed at the top of page 4, in volume 5, issue 40. Mr. Battagler asserted that, “Without contributions from participants the fund had fallen well short of the amount it needed to be solvent.” There were many factors that impacted the unfunded liability of the Police Pension, including stock market downturns and intermittent payments by former city finance directors. The unfunded liability must still be paid, regardless of the City moving the Police Officers to LAGERS. In fact, the LAGERS plan costs more (approximately 12% of payroll) than the former Police Pension plan (approximately 8%.) Even after the unfunded liability has been paid, the LAGERS plan, which has added benefits including cost of living adjustments, will be more expensive than the Police Pension plan. Mr. Battagler also said that “without the change the city could have faced bankruptcy.” That is simply not the case. It was the belief by some that the former Police Pension plan was unsustainable, which prompted the discussion, and subsequent change, not the threat of the plan failing or causing bankruptcy. In fact, the Police Pension plan is performing very well in the current economic environment. Since 2008, when the stock market downturn hurt almost every pension plan, the Police Pension plan funded status has increased every year, with contributions decreasing or remaining the same as a percent of pay in that same period. Chief Lynch is committed to transparency and openness. The Raytown Police Pension Board meetings have always been, and remain, open meetings. The schedules of Pension Board meetings are posted in the Police Department lobby, as well as the Police Department News blog, RPD News Room (http://piorpd.wordpress.com/) for the public and media to view any time.